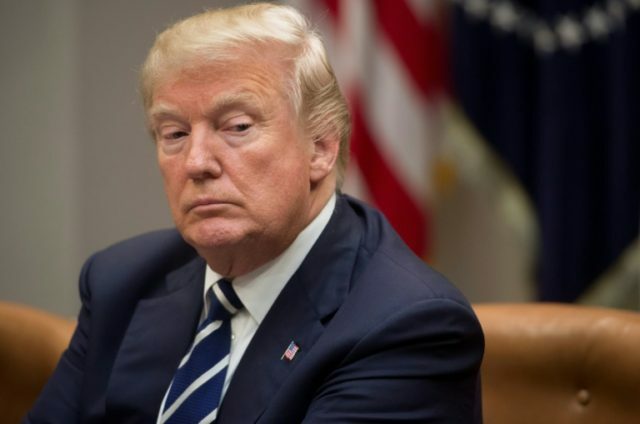 Washington (AFP) – Donald Trump’s first anniversary as US president was marred by chaos Saturday as Congress struggled to reverse a government shutdown and mass demonstrations erupted in cities across the country. Essential federal services and military activity are continuing, but hundreds of thousands of public sector workers will be sent home without wages and even active duty troops will not be paid until a deal is reached to reopen the US government. Highlighting the deep political polarization, crowds estimated to number in the hundreds of thousands took to the streets of major US cities to march against the president and his policies. “This is the One Year Anniversary of my Presidency and the Democrats wanted to give me a nice present,” Trump, who is in Washington instead of celebrating the anniversary at his Mar-a-Lago resort, wrote on Twitter in reference to the shutdown. The impact of the shutdown will be felt more strongly if it lasts into the coming work week. But signs that the government was not open for business were already appearing on Saturday. There have been four government shutdowns since 1990. In the last one in 2013, more than 800,000 government workers were put on temporary leave. Joll was also affected by the 2013 shutdown, but “this one feels a lot more ominous,” she said. “I think our members are frustrated, they’re disappointed in the president and members of Congress that they’re not funding the government — doing their job — as we do our jobs every day,” J. David Cox, the president of one of the largest unions representing government workers, said on CNN. A deal had appeared likely on Friday afternoon, when Trump — who has touted himself as a master negotiator — seemed to be close to an agreement with Democratic Senate minority leader Chuck Schumer on a measure to prevent the expulsion of undocumented migrants who arrived in the country as children. But no such compromise was in the language that reached Congress for a stop-gap motion to keep the government open for four more weeks while a final arrangement is discussed — and Republicans failed to win enough Democratic support to bring it to a vote. Congress reconvened for a rare Saturday session, where leaders of both sides traded accusations of responsibility for the shutdown. “It’s impossible to negotiate with a constantly moving target,” he said. “President Trump is so mercurial it’s been impossible to get him to agree to anything. Democrats have accused Republicans of poisoning chances of a deal and pandering to Trump’s populist base by refusing to fund a program that protects 700,000 “Dreamers” — undocumented immigrants who arrived in the US as children — from deportation. Republicans have a tenuous one-seat majority in the Senate but would have needed to lure some Democrats to their side to get a 60 vote supermajority to bring the motion forward. They fell ten votes short. But it would have cut the Deferred Action on Childhood Arrivals program, known as DACA, that affects Dreamers. As US lawmakers wrangled over government funding, protesters turned out in cities including Washington, New York and Los Angeles to express their opposition to Trump and their support for women’s rights. Hollywood celebrities were among those who turned out to protest on Saturday. “We have a racist in the White House, we have a sexist in the White House and we have a pathological liar in the White House who is tearing away at the fabric in our democracy,” actor and producer Rob Reiner said at a rally in California.